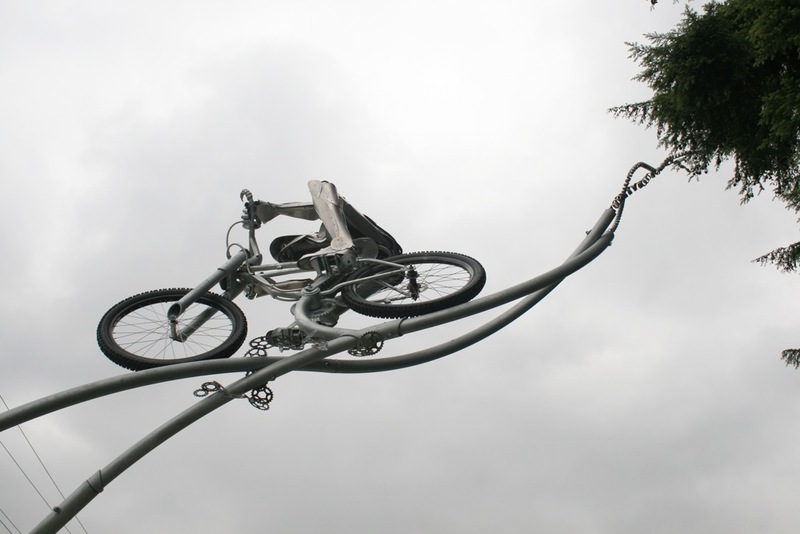 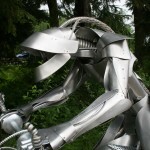 This sculpture is a fusion of cycle and rider mounted 15 feet in the air. 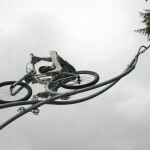 Participants ride underneath the sculpture at the entry to a mountain bike park. 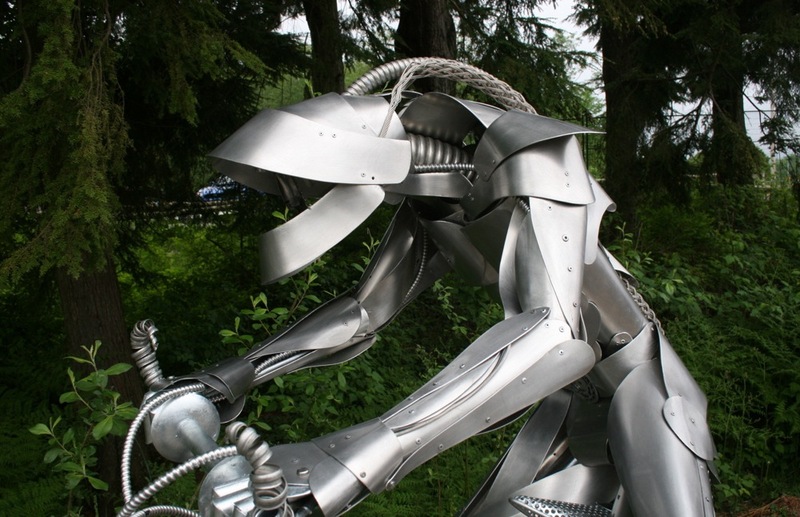 © Bruce Voyce 2019 | Website by Sparkjoy Studios | Log in.